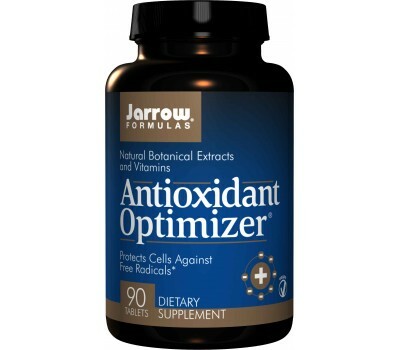 Antioxidant Optimizer® is a synergistic blend of water- and lipid soluble antioxidants, including Lutein and Lycopene (Lyc-O-Mato ®), Gamma Tocopherol, Curcumin, Green Tea Extract, Milk Thistle, Oleaselect ® Olive Fruit Extract, and LeucoSelect ® Grape Seed Extract. Much of the early work on antioxidants looked at how individual compounds act in the body. From such research, it was established that vitamin C is active primarily in the water-based environments (the fluid portion of cells), whereas vitamin E is active in fat-based environments (such as the membranes of all cells). However, it turns out that single antioxidants do not usually work by themselves in scavenging free radicals, but rather several antioxidants normally work together. Moreover, many scavenging processes require several steps. For example, one type of free radical known as the superoxide molecule (O 2 -) first is turned into the less reactive hydrogen peroxide (H 2 O 2 ) by the body’s antioxidant enzyme superoxide dismutase (SOD), and then this hydrogen peroxide is converted into water and plain oxygen by glutathione, another enzyme antioxidant produced by the body. Glutathione, in turn, is made more effective in its role in the presence of vitamin C, which can be oxidized and then easily excreted. Vitamin C plays a similar role in helping to keep vitamin E in its proper active (reduced) state. This type of antioxidant synergism appears to be the rule in the body rather than the exception. Jarrow Formulas Antioxidant Optimizer® takes advantage of the knowledge that antioxidants work together. It starts with two of the fundamental vitamin antioxidants, vitamin C to protect water- soluble tissues and vitamin E to protect lipid-soluble ones. To these it adds lycopene, lutein and six other phyto-antioxidants. Lutein and Lycopene (Lyc-O-Mato ®) are prominent carotenoids that support the eyes, cardiovascular system, breast, cervical, and other tissues and organs. Lutein is often associated with zeaxanthin and can be used by the body to form zeaxanthin, hence is the essential member of that duo. It is important for protecting the macula of the eye as well as the eye lens and the retina. Elsewhere in the body, tests suggest that although lutein is relatively minor as a component of LDL cholesterol in comparison with vitamin E, its antioxidant protective effects may be ten times greater if compared on a one-to-one basis. 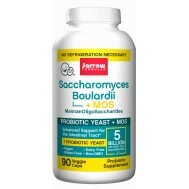 In this function it works well with lycopene. Lycopene is the most abundant carotenoid found in the blood and has been associated with protection of LDL cholesterol against free radical damage. In addition, lycopene is 100 times more efficient in quenching singlet oxygen than is alpha tocopherol. Lycopene is especially associated with prostate health. Women, too, may benefit. A study in early 2007 found lycopene reduced oxidative stress and helped postmenopausal women maintain healthy bone density. Gamma Tocopherol, which must be clearly distinguished from alpha-tocoperherol, is a potent free radical scavenger that protects lipids, proteins and DNA. It is a form of vitamin E that continues to find support in more and more research. Studies show that Gamma Tocopherol acts in the body’s healthy inflammatory response and is a powerful antioxidant exhibiting benefits in the areas of healthy cell replication, including in the prostate. Flavonoids, lignans and related compounds from Curcumin, Green Tea Extract, Milk Thistle, Oleaselect ® Olive Fruit Extract, and LeucoSelect ® Grape Seed Extract provide antioxidant support for the liver and cardiovascular system and promote good circulation and capillary integrity. Green Tea catechins and other polyphenols and the Milk Thistle flavnolignans that collectively make up silymarin are valued for their ability to activate the body’s detoxification pathways. In some measurement systems, silymarin is ten times more effective than is vitamin E in preventing unwanted oxidation. 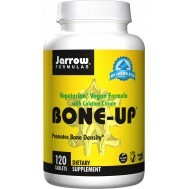 The extract increases the liver’s content of the antioxidant enzyme glutathione (GSH) by ~35%, and increases the levels of the body’s major antioxidant enzyme, superoxide dismutase (SOD). Silymarin also inhibits the actions of lipoxygenase in the liver. Lipoxygenase acts upon polyunsaturated fatty acids to produce pro- inflammatory compounds called leukotrienes, which cause damage to liver cell membranes. Oleaselect® Olive Fruit Extract provides other special antioxidants, such as hydroxytyrosol, which has been accepted by the European Food Safety Association as protecting LDL cholesterol against oxidation. LeucoSelect® Grape Seed Extract polyphenols are potent phyto-antioxidants that spare vitamin C, protect capillaries and promote cardiovascular health. Curcumin is included for its proven support for the body’s healthy inflammatory functions. Vitamin E was first discovered in 1922 when it was deduced to be an important dietary factor, necessary for reproduction, hence why it was called “fertility factor.” Only in 1938 the structure of the most common form of vitamin E, alpha tocopherol was fully elucidated. Turmeric (Curcuma longa) is a spice grown in India and other in tropical countries in Asia . This spice has been part of religious ceremonies in India for thousands of years. Turmeric is related to ginger with which it shares some of its active ingredients. Antioxidants, everyone has heard of them, but only a few know what they really are and what they do. Antioxidants are present in fresh fruits and vegetables, as well as whole grains, where they protect the plant against insects. Fruits and vegetables that have bright, distinctive (dark) colors, have the highest amount of antioxidants, such as the very well known red tomatoes, blueberries, purple grapes, green (and purple!) kale, yellow corn and orange carrots. In the past decade we were told indulging in one or two glasses of alcohol (just one for women) a day is healthy. This was even one of the many recommendations in the national (Dutch) health guidelines. In the past year though, a drastic change occurred: the recommendation changed into zero to perhaps to a most one glass of alcohol a day! So, what gives? Take 1 to 3 tablets per day with meals, or as directed by your qualified health care consultant.